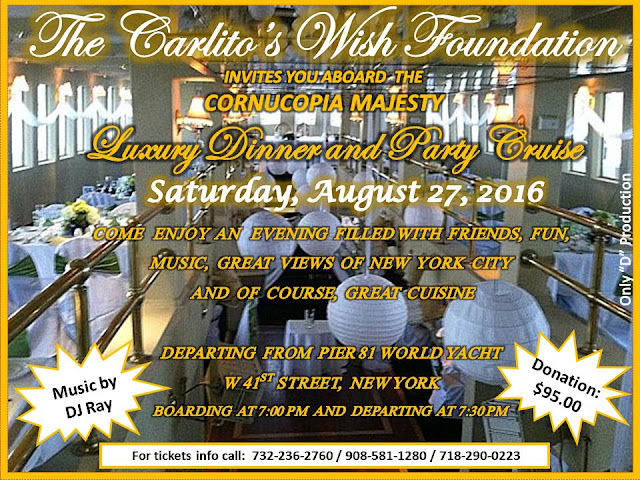 Join the Carlito's Wish Foundation for it's Annual Dinner Cruise on Saturday, August 27. Join CWF as they showcase their fascinators and other fancy hats at Warm Daddy's in Philadelphia. In recognition of the ongoig services and support provided to Tristan Simmons (7 yrs. old with ALL Leukemia), proceeds from tickets sales will go to the Children's Hospital of Philadelphia. Copyright © 2016 The Carlito's Wish Foundation, All rights reserved. 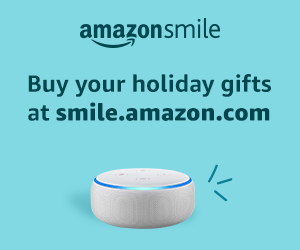 You are receiving this email because you have visited our website, made a donation or attended one of annual events. The Carlito's Wish Foundation hosted their 22nd Anniversary Dinner Dance & Fund Raiser at the beautiful El Caribe Country Club in Brooklyn, NY this past Sunday. The evening was filled with admiration for the honorees and their contributions to their immediate communities and the work that they do to benefit children and young adults. Borough President Eric L. Adams gave the Foundation a proclamation for its 22 years of service. As past honorees have been flanked by their family and friends, one honoree (Jennifer Paige) was surprised to see that her uncles, whom she had not seen in more than a decade flew from Panama to share in her moment, making this a night of not just celebration but of reunion, as well. CWF would like to thank Borough President Eric L. Adams for the taking the time out to attend the dinner and bestow the proclamation to CWF, and to the CWF members and everyone involved in making the evening a success. Proceeds from the Dinner Dance go directly to granting wishes to children suffering from life-threatening illnesses.